This Sunday I will take on the Scottish Half Marathon. It was at this time last year that I competed in the Scottish 10K at the same event. I decided to step up to the longer distance this year because it seems to suit me better. My body can take the strain of a longer distance but struggles if I ask it to run at speed! I’m sure I will overcome this obstacle eventually, although I’m not getting any younger. The route starts just outside Tranent then makes its way through Longniddry to the coast. From there, it follows the golf coast through Port Seton, Cockenzie, Prestonpans and finishes at Musselburgh Racecourse. It’s a fairly flat course which, in theory, means I might achieve a personal best. One fly in the ointment is that there can often be a sea breeze blowing from west to east. That could mean a head wind from just after mile five all the way to the end. If the weather’s anything to go by at the moment I suspect that’s what I’m in for. 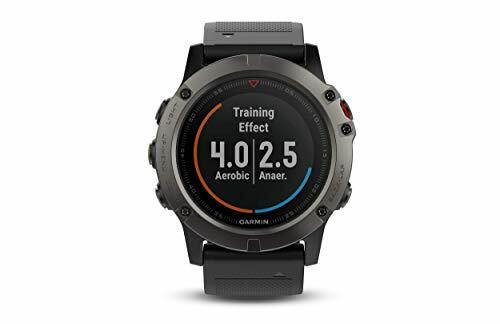 Since I did the Scottish 10K last year, I’ve invested in a Garmin Fenix 5X. The Garmin Forerunner 735XT has found a new home though as my wife put her eye on it. I was a little worried at first that the bigger and heavier watch would be uncomfortable. For the first day or so, I could notice the difference on my wrist but over the course of a week I soon forgot it was there. The Garmin Fenix 5X feels like quite a step up and I love that it has maps onboard. Now I can load route maps onto the watch and it gives me turn by turn directions so I don’t get lost! I don’t think I’ll need that for the Scottish Half Marathon but it was certainly useful whilst I was running in Switzerland. When I recently ran the Dirleton 10K, I used a data field on my Garmin Fenix 5X to pace the run. It’s called Peter’s (Hi Vis) Pacer. The data field is designed to show how far ahead or behind you are based on a time, pace or speed you input for a set distance. It worked well for the 10K race apart from I couldn’t keep up with the pace I’d set myself! This time around over a longer distance I’m more hopeful. The start of the Scottish Half Marathon is downhill but I don’t want to be tempted to overdo the pace. I’m aiming for a time of around 1 hour 45 minutes as that would be a personal best. The remainder of the year for me looks quite devoid of races as the Scottish weather deteriorates. Do you have any more races coming up this year?